Hello and welcome to Birchbox time! 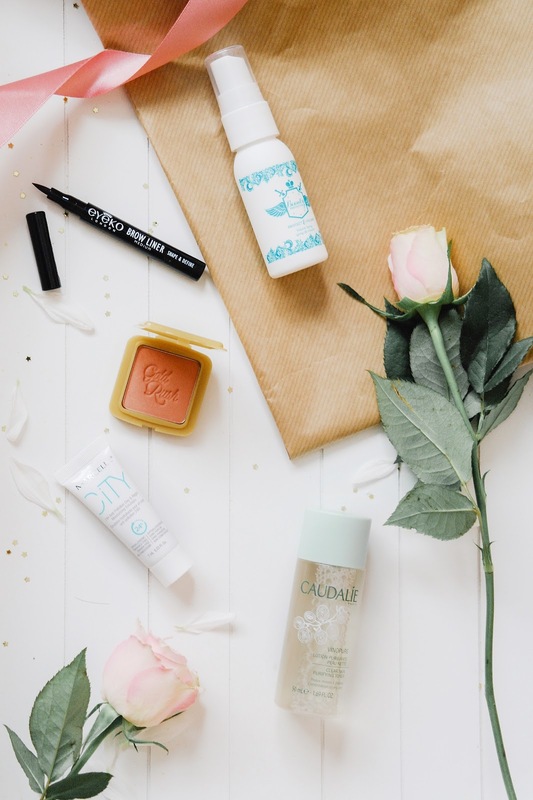 It's a great start to the month with this little beauty box presented in a mosaic-style box and contains a fantastic edit of beauty products to make you feel ‘On Top of Your World’, which is September’s theme. The box features a cute blue, purple and silver print and as always, you can use these as they pull out draws again. There’s a good mix, although they’re all pretty small, but the lead product is a Benefit blush which definitely adds some strength to the contents. I have to say that this box is so much better than last month's! 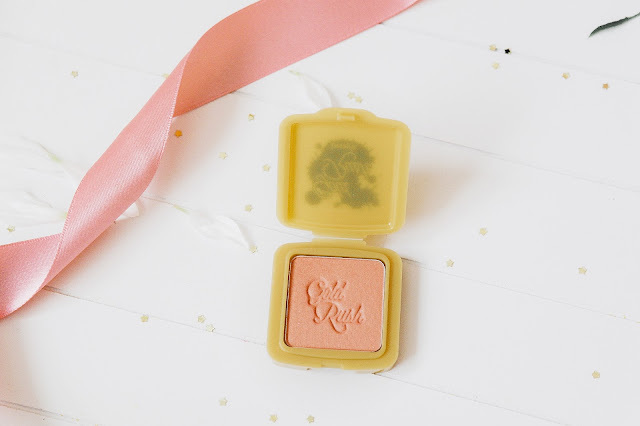 How adorable is this Benefit Gold Rush powder compact?! Described as ‘sunshine in a box’, Gold Rush is a golden blush that also doubles up as a pretty highlighter that you can get your glow on with. I love the colour of this blush it is great for that natural look and really does bring life to your face! It’s has that amazing subtle glow to it too which makes your skin look so radiant and healthy. The flattering honey toned shade is infused with lots of golden flecks to add some shimmer and glow to the tops of the cheekbones to brighten up your whole complexion. It’s gorgeous! This was the product that I was most excited to receive, but let's face it, brow liners have never really gone out of fashion. I have to say I love discovering a new brow product, and this one is pretty epic and gives me some of the best brows. The Eyeko Brow Liner is an easy-to-use tool that helps fill in sparse areas, define with natural-looking colour and emulate the look of real hairs! The liquid formulation allows you to build up colour for a subtle, water-resistant finish that lasts until you’re ready to remove it. It’s not something I’ve tried to use before so I found it difficult to use an keep a natural looking brow colour an shape. I am familiar with Marcelle and their makeup range. However their skincare range is completely new experience for me. This moisturising emulsion shields skin from pollution and environmental stressors, while repairing, hydrating and reviving the complexion for a bright and radiant glow. It has a nice smooth feel, but unfortunately it’s too expensive for my moisturiser budget. I can't say that I was completely wowed when I saw this in the box, I have to be completely honest and say that Birchbox send through so many hair products. However I really like the fact that this is travel sized as we have lots of weekends away planned and I'll need to take this with me. This multitasking spritz is the ultimate hair product giving you volume, hydration, heat protection and give that extra shine. It feels weightless and doesn’t leave any sticky residues behind. It has a strong smell that is actually floral and feminine and it lasts for a while. 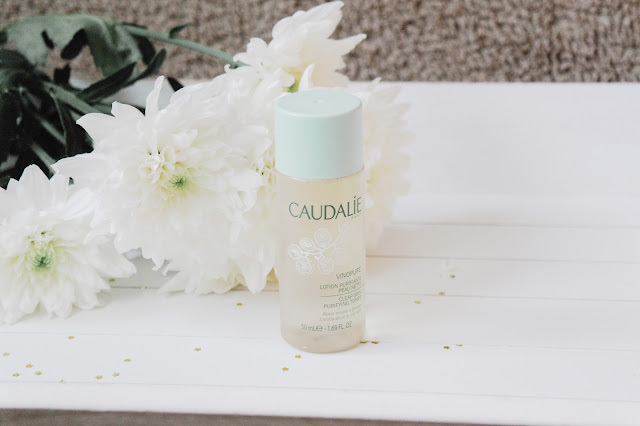 I have tried a few Caudalie skincare products, especially as I am obsessed with their cleansing oil so I am excited to try this purifying toner. This gentle toner is specially formulated for combination and blemish-prone complexions as a simple-yet-effective solution to refresh and purify skin. A great toner as you would expect from Caudalie. It smells amazing and leaves my skin feeling refreshed. Good sample size, so I was able to feel the benefit of using the product and I really want to buy a full size. July - Say Yes to Adventure. March - Be Present, Not Perfect.